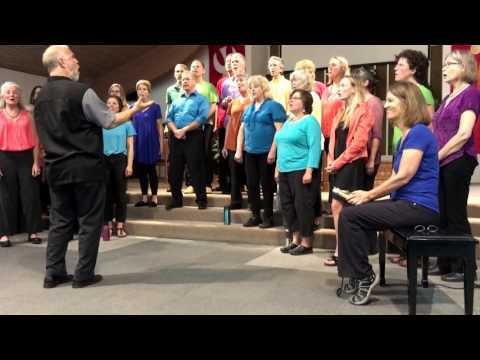 The World Harmony Chorus is a community chorus that sings songs from around the world. Our 2018-2019 program features Music from the Americas, with songs from Québec to Argentina, and many places in-between. Everyone is welcome, there are no auditions and no singing experience is necessary (experienced singers are also welcome, and there are solo opportunities for those who would like them). All parts are taught by ear, and musical transcriptions are provided. All ages are welcome, from 9 to 99. The chorus will perform several times throughout the year, principally in December/January and in the spring. If you've never experienced the magic of singing in a choir, or if you've always thought of yourself as someone who "just can't sing", this is a great way to start.